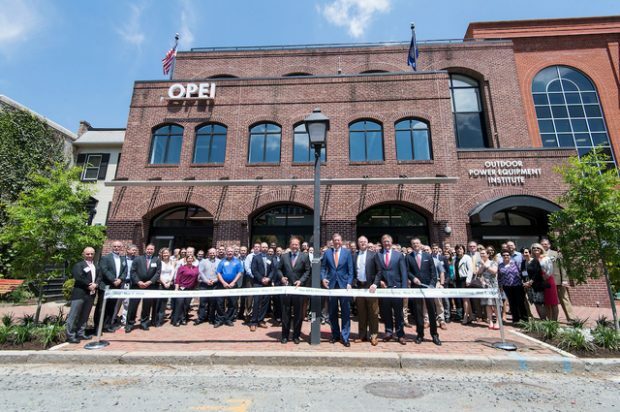 More than 100 members, partners, and friends were on hand as the Outdoor Power Equipment Institute officially opened its new headquarters building in Alexandria, marking a new stage in the growth of the association. 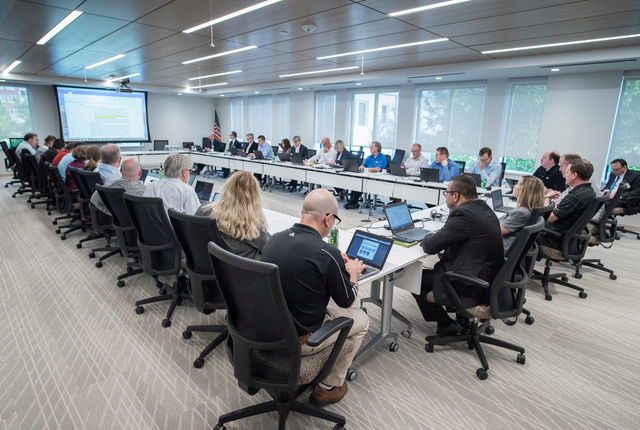 Thirty years ago the OPEI Board of Directors moved the association from Washington, D.C., to Alexandria, VA, to build and own its headquarters building. In 2017, OPEI’s Board voted to sell its existing building and acquire 1605 King St., representing a multi-million-dollar investment. The new building, in the heart of Old Town Alexandria, sits one block from the D.C. Metro, and just four miles from National Airport. It has a state-of-the-art conference center designed to accommodate OPEI’s increasingly large committee meetings. Photo 1: Members of the Outdoor Power Equipment Institute (OPEI)’s Board of Directors and more than 100 partners and friends get ready to cut the ceremonial ribbon on May 7, 2018 to open the association’s new headquarters building in Old Town Alexandria, Va. OPEI is an international trade association representing more than 100 power equipment, engine and utility vehicle manufacturers and suppliers. For more info on OPEI, click this link. Hurry! Before it’s too late!